It all started with an idea in early 2010. 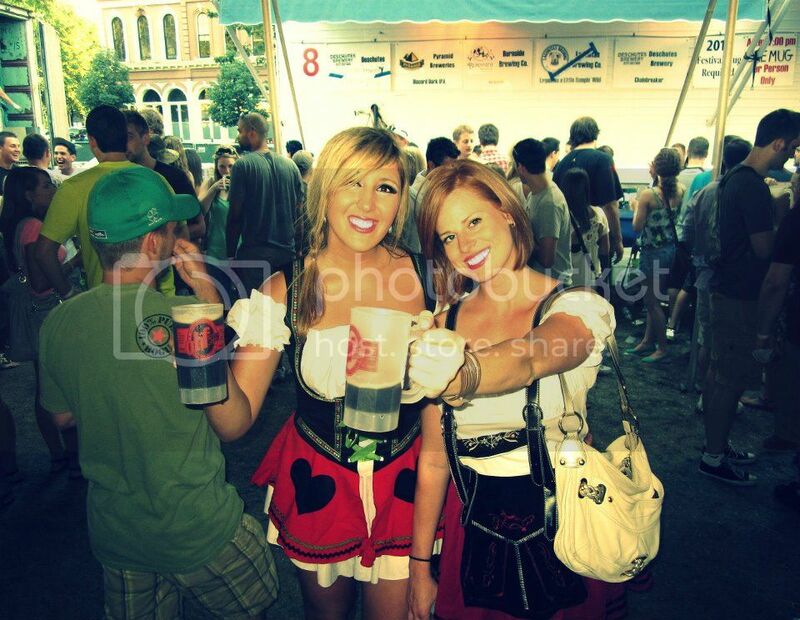 "Hey Miranda, do you want to dress up as Bier Girls in July for Brew Fest?". Miranda paused, surmised for a moment and quickly determined she wasn't ready for such an embarrassing social undertaking. Her instant rejection didn't mean that I would stop pestering her. Every week or so, I'd email/call/text her and ask her if she wanted to do it. Her usual response was we can't dress up like beer girls, it'll be social suicide! "no, I would feel so dumb…". 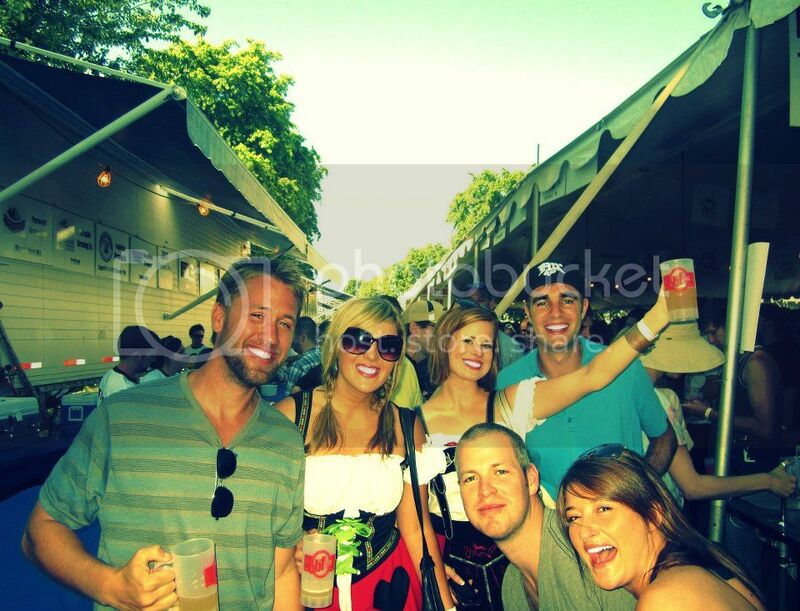 That began in April 2010 and a Brew Fest, came and a Brew Fest went, with no Bier Girls to be had. It was then that I decided I needed to pump up the volume on my proposals to her for the 2011 year. It was dumb of me to just suggest costumes, where was the incentive on her part!?!? I threw in the fact that we would likely be given free tokens (which allow you to have the brew), would get our picture taken with a lot of people, wouldn't have to worry about our clothes that day, would have amazing pictures together and memories for a long time… she still wasn't sold. But this year, with a week to go before Brew Fest, her non-committal became my best asset: guilt. She hadn't definitively said "yes" and she hadn't definitively said "no"… and when time is of the essence, the decent person will submit due to sheer pity that they haven't given a proper rejection with enough notice. So off to the Halloween store we went in the middle of July. The shopping trip in itself fueled as much laughter as the end result did. We stuffed ourselves into dozens of costumes in the "Ale Girl" family until we both determined what every girl is so happy to declare: "We had found "The One!". And so, on July 30th, we ventured into our favorite, favorite, favorite Fest in the world dressed head to toe in our outfits. I think any lingering apprehension Miranda had washed away as we waited in line to enter and were given 12 free tokens for our effort. The rest of the day was about the sheer brilliance of the fest, the costumes and our time together… oh, and the delicious, succulent Beer. 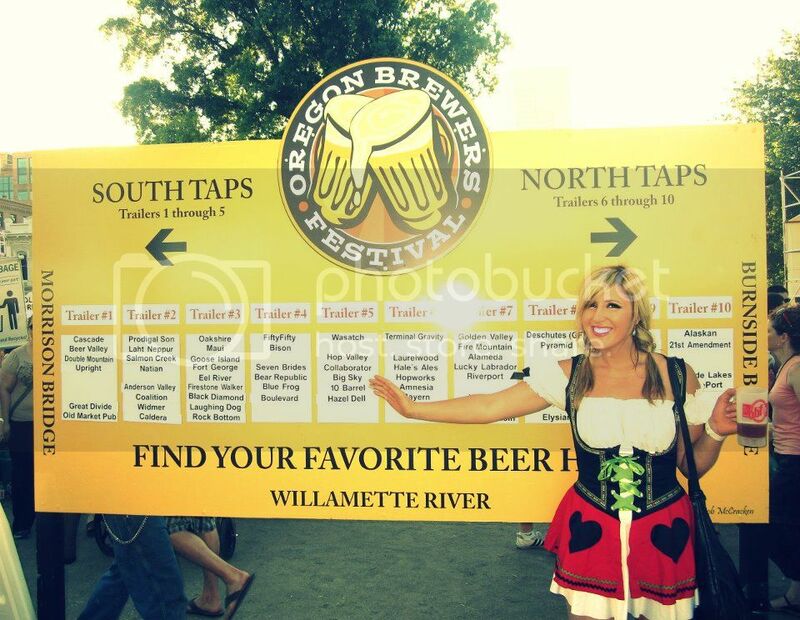 The Oregon Brewers Festival always runs Thursday-Sunday on the last full weekend in July. For 2012 it's July 26-29. It's located on the Waterfront downtown and is phenomenal and renowned across the nation (Oregon is one of the best Beer places in the country). I would highly suggest you pay it a visit- you Seattle folk should definitely tromp down. First! Haha thank you for this blog it cracked me up and I've fully let go of my no good very bad day. Love you...can't believe u successfully convinced me. But not gonna lie...it was a blast. Bit let's keep it real, any fest w u is a blast. I seriously love reading your post! You guys look adorable. I am glad she gave in. Yay for getting the 12 tokens. & what do you use for your eye makeup? I love your eye makeup! & the bracelets should still be at F21, they were $4.80. They have really cute bracelets out now. Bahaha! I totally would have dressed up with you! I think you girls looked amazing. And 12 free tokens?! Can't argue with that! 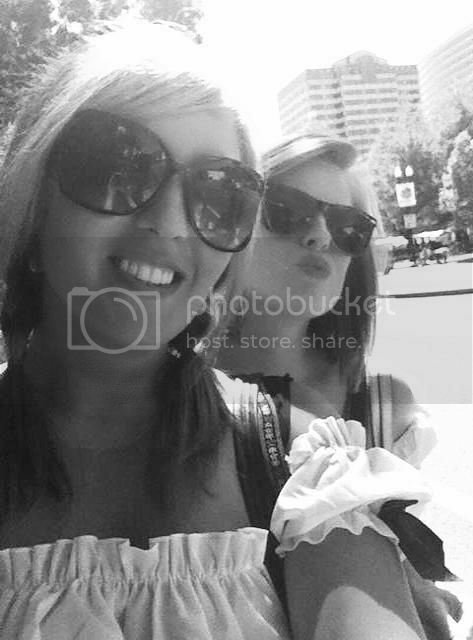 You are seriously the coolest chick in the world! Looks like y'all had a fantastic time! I love anything German and especially anything with "Fest" in it. 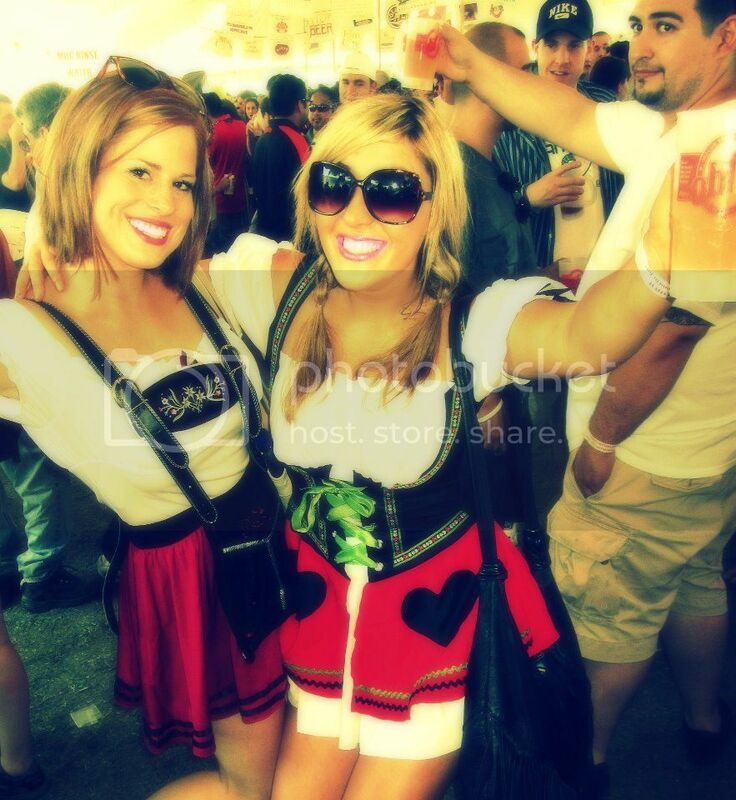 I am dying to go to an Oktoberfest soon. Halloween is getting pretty slutty. I guess it doesn't bother me as much for adults, but I don't want little girls feeling like they need to dress like whores. You look SO CUTE! 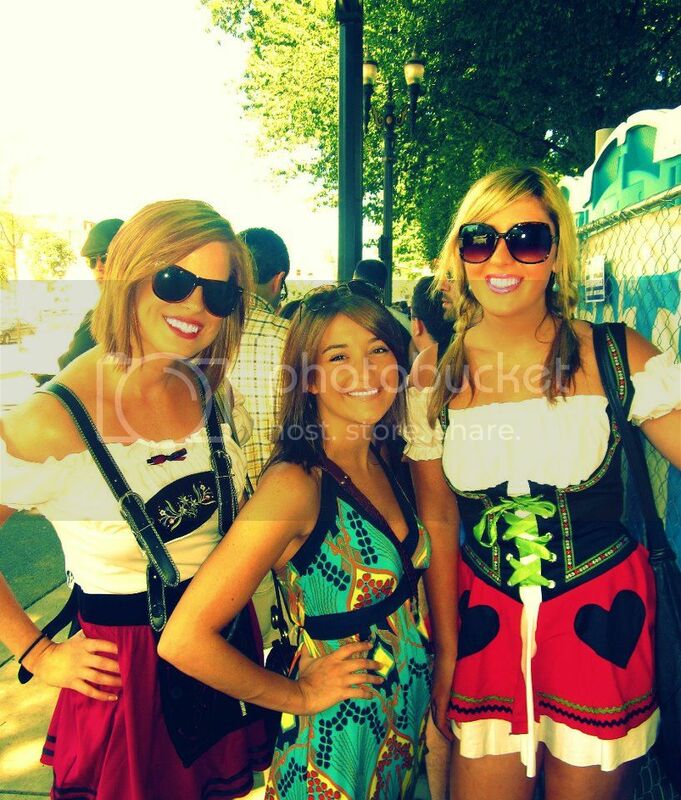 I love these beir girl outfits, now you have an excuse for Oktober Fest in Germany! Good on you for convincing your friend to dress up too! Looks like you had a fantastic time .... 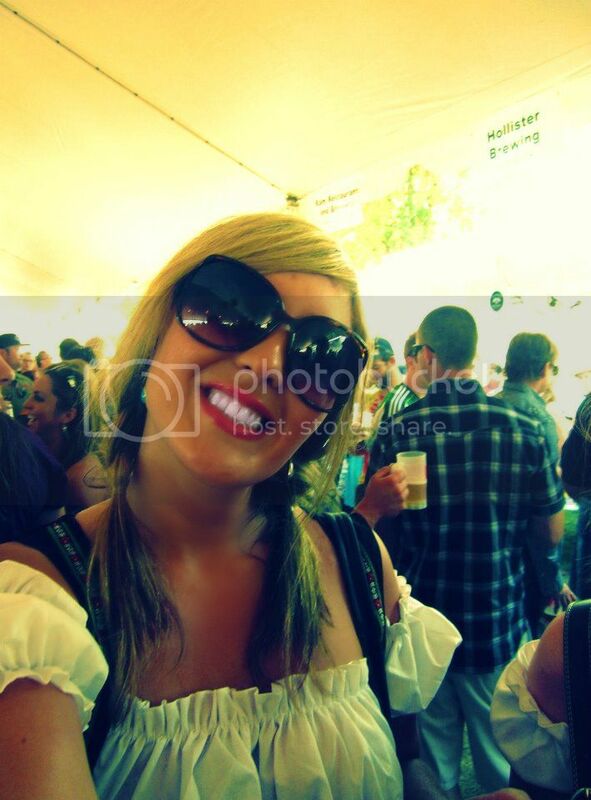 I HEART BEER and now am craving one at 10:19am hahah! You both look great in your costumes so I'm sure your friend sis happy she gave in!!!! 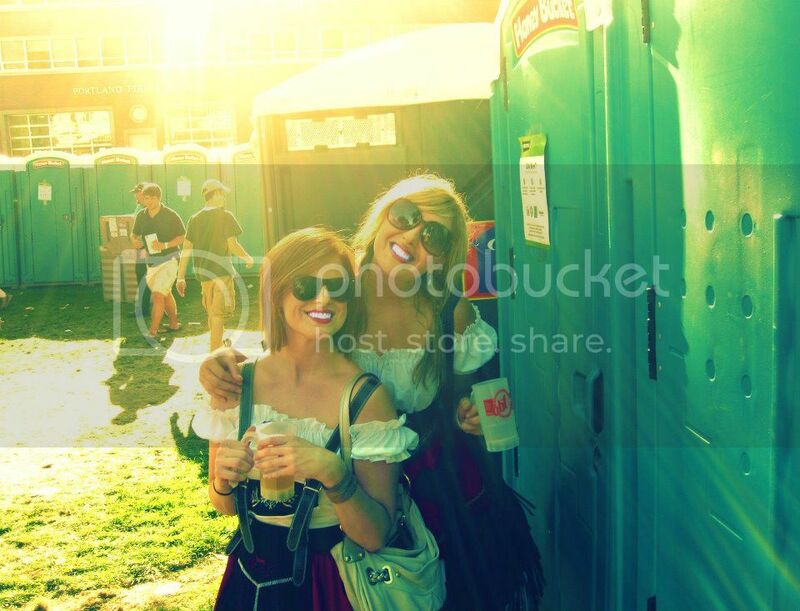 what a great idea and you both look so cute... i wish we had festivals like that here!!! ooohhh so THAT WAS YOU that i started laughing at on this year's brewfest?! just kidding! i never saw such thing! you guys are sooo brave and funny, but heck, it was timely, right?! 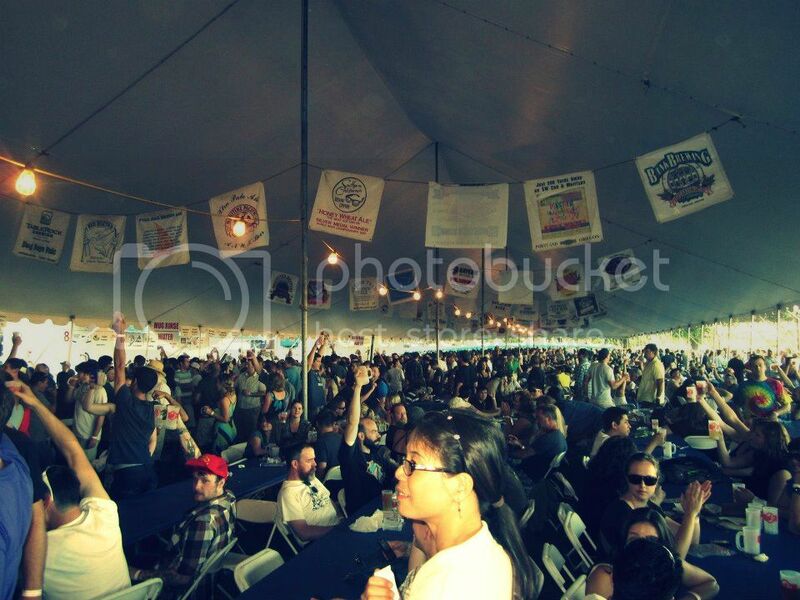 fun times at brewfest, always. it's so awesome to have a friend to do fun stuff like this with. It's definitely out of the box to do it, but you know what you only live once and why not enjoy it right? I love the costumes you both look great! Suuuuper fun!! That looks like a total blast! You guys look adorable. 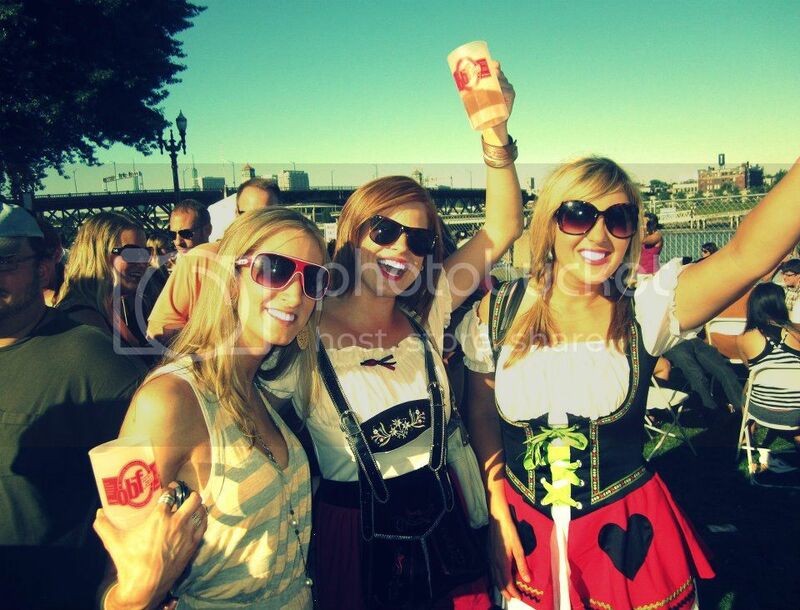 I don't think there are many things in life better than costumes and BEER! I'm not really much of a beer kinda girl myself only because I find their taste too strong, except Corona I can only drink that lol. But you girls look sooo cute in your dresses and look like you had a blast! miranda is eating that up!!! im glad you convinced her to do it b/c the pictures are priceless. i went to a german bar w/ my german friends one time in cincinnati and they dressed up in their costumes and were the highlight of the place (i think they assumed everyone would be doing it?) 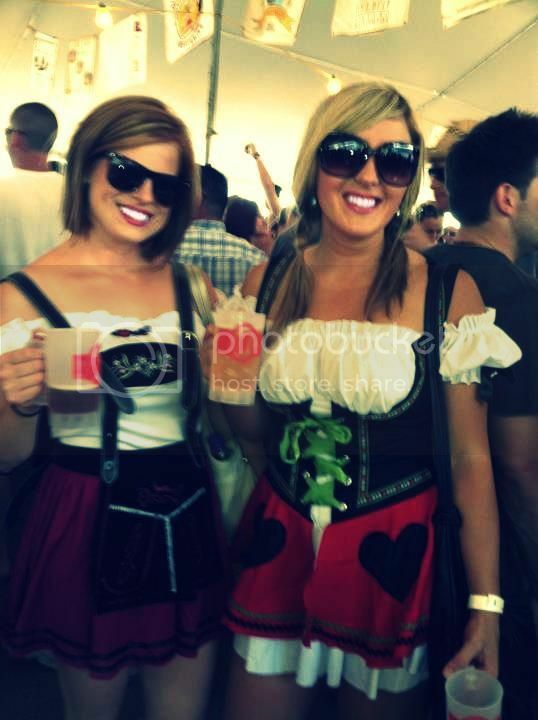 so i vowed next time im going to be pretend german (well my heritage actually is...) next time i go to a beer festival. may be calling you to borrow your costume! You do need authentic beer steins! Thx for signing up for my giveaway. Best of luck to you - it is truly a random pick for the winner. 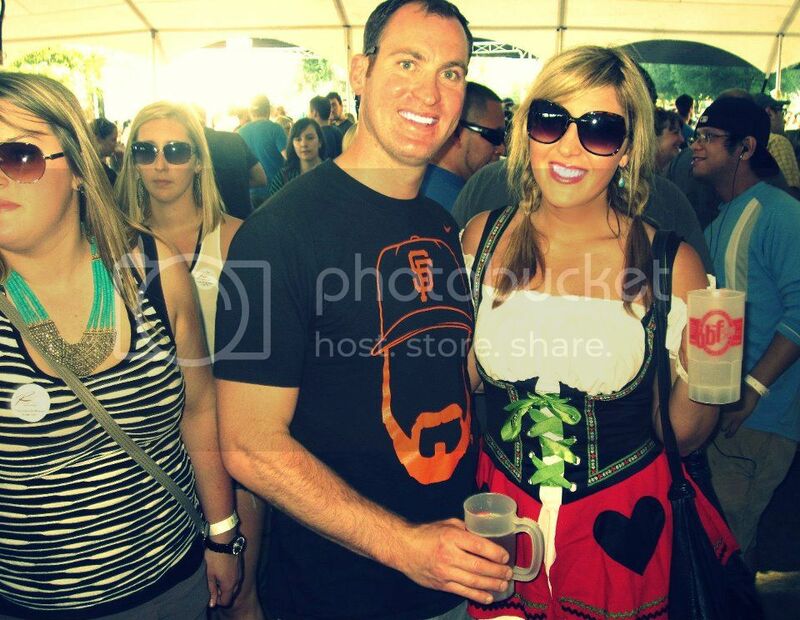 I'm hoping to find the steins this weekend - so stay tuned for updates. 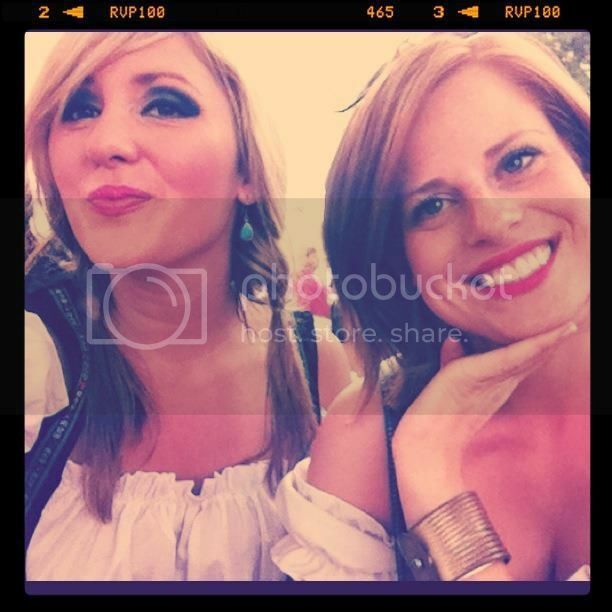 You are my Oktoberfest SISTER. 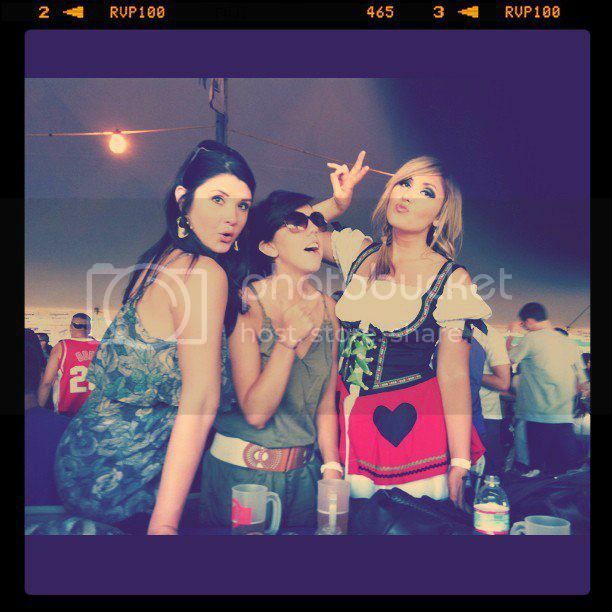 I LOVE dressing up for the festivals, it's so much fun. I bet all of the girls were so jealous of you two hotties. Ha. 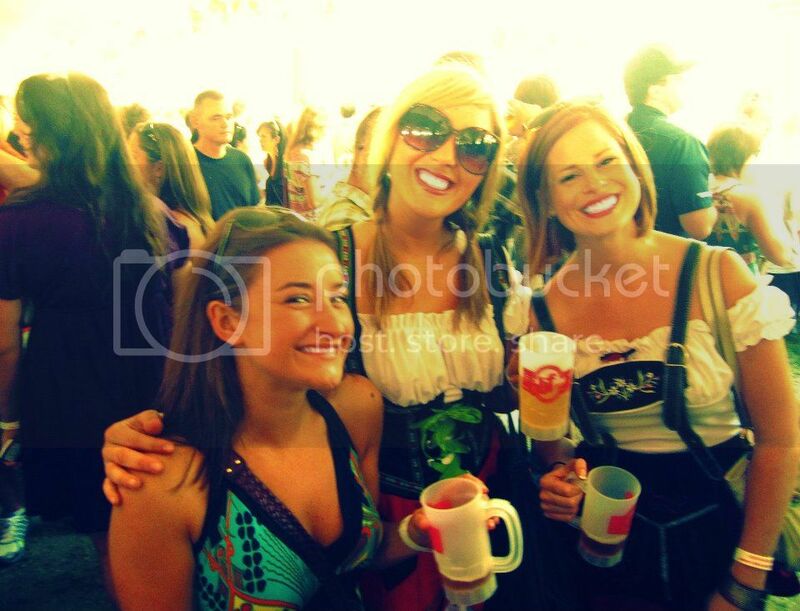 Have you ever been to the Leavenworth Oktoberfest in Washington? That is a fun festival too - and very similiar to the ones over here (Germany). seriously, the more I read about you the more I just know we would totally be BFF's. You are SO my kind of girl! !